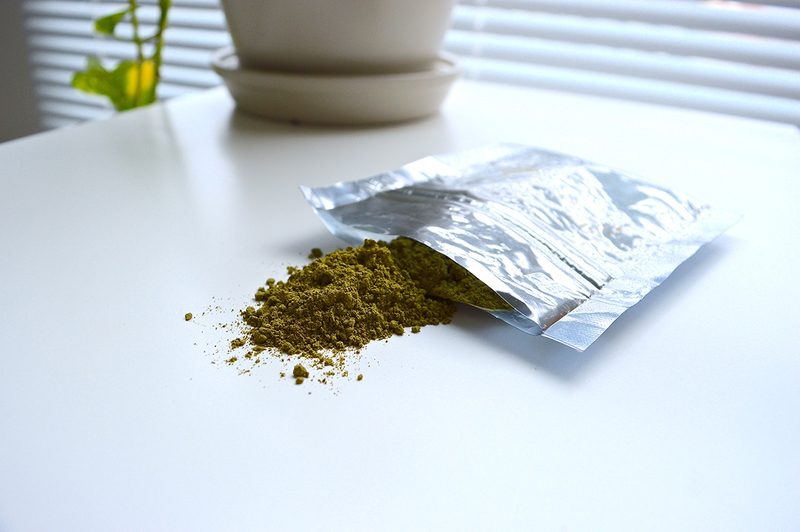 Powdered kratom leaves can be purchased online. In a city ravaged by drug overdoses, some Vancouverites have turned to a plant they say mimics the effects of opiates without the lethal drawbacks. But one addictions specialist warns users to think about safety before consuming the dried leaves, citing a lack of research — and Health Canada hasn’t regulated the product for human consumption. That plant is kratom, a tree native to Southeast Asia. 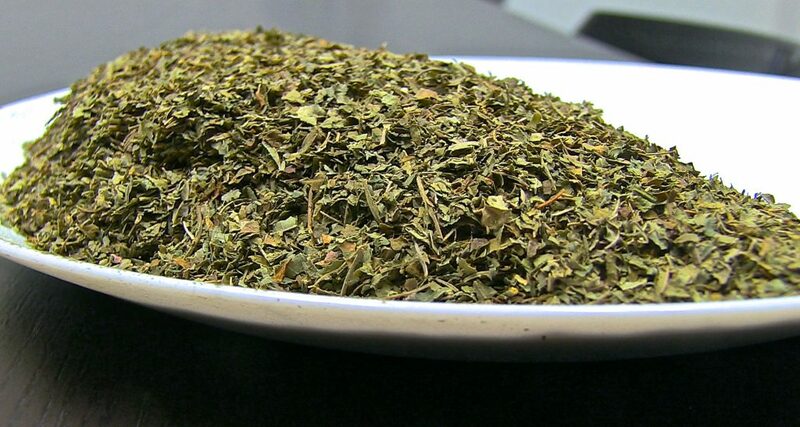 Users sip kratom tea or mix the powder into juices and smoothies to mask its earthy flavour. It’s versatile, variably used as a painkiller, anxiety medicine or mood enhancer. Mark Kay discusses the online kratom business in his Vancouver office. Kratom advocate Mark Kay says it works as well as prescription drugs. After a biking accident left Kay with a broken back and shattered limbs, bedridden and hooked to a morphine drip, Kay began to worry about using that medication long-term. Kay looked online for a drug that would numb the pain without morphine’s debilitating side effects. There, he found kratom. Kay still consumes kratom daily to manage residual pain. He says he doesn’t feel dependent on it and, unlike the extreme withdrawals he had with opiates, he only experiences a headache and runny nose when he stops taking kratom. The plant works so well, Kay says, it even dulls the pain from terminal cancer. 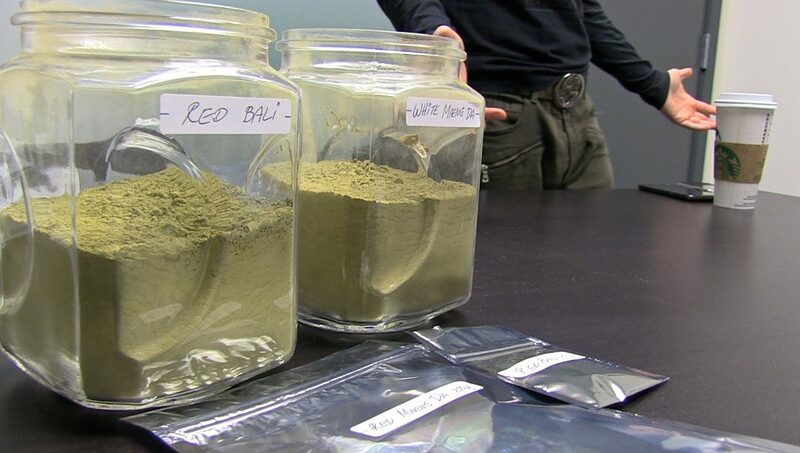 Today, Kay runs a Vancouver-based kratom importing and distribution company, and estimates about 80 per cent of his clients use the plant in place of drugs like heroin or fentanyl. 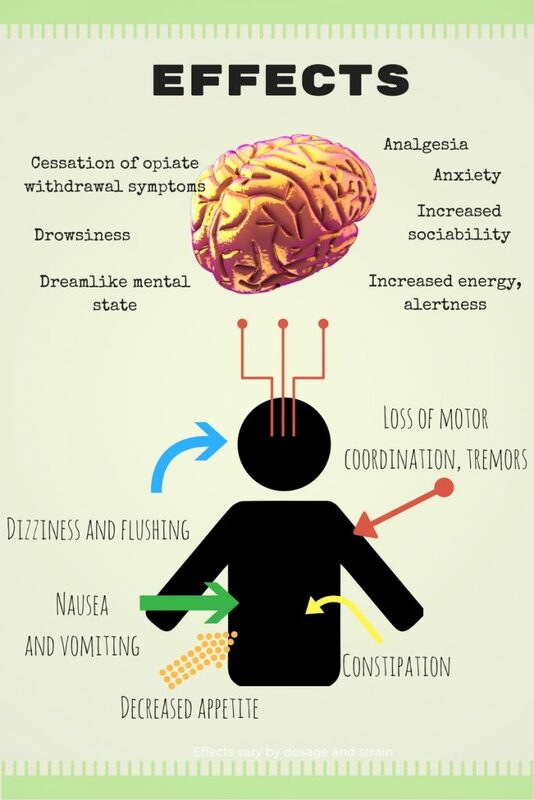 Kratom activates the same receptors as opiates and produces similar effects. Users may feel dizzy or nauseated. Others, euphoric. At lower doses, kratom provides an energy boost — a bit like a strong coffee. As the dosage increases, kratom takes on a sedating quality, easing pain and inducing sleepiness. Infographic: Miracle herb or dangerous drug? 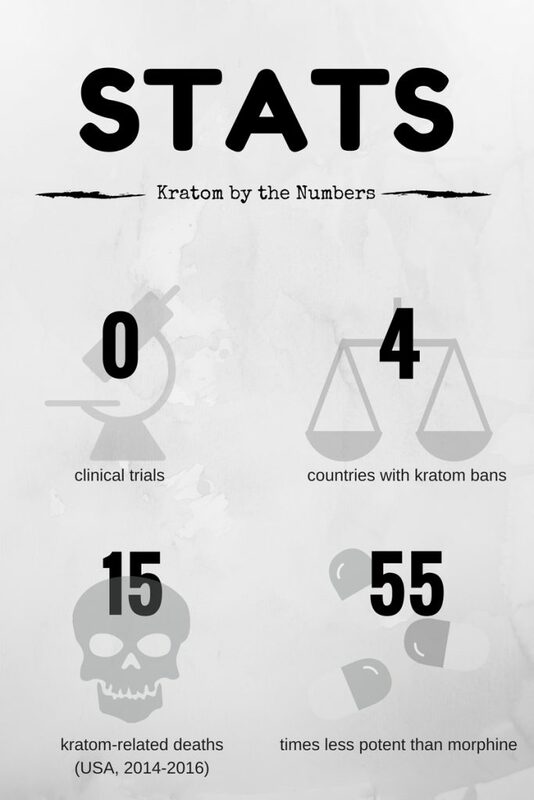 Yet in spite of support from kratom enthusiasts, researchers are cautious. They don’t know much about kratom’s pharmacology or how it interacts with other drugs. 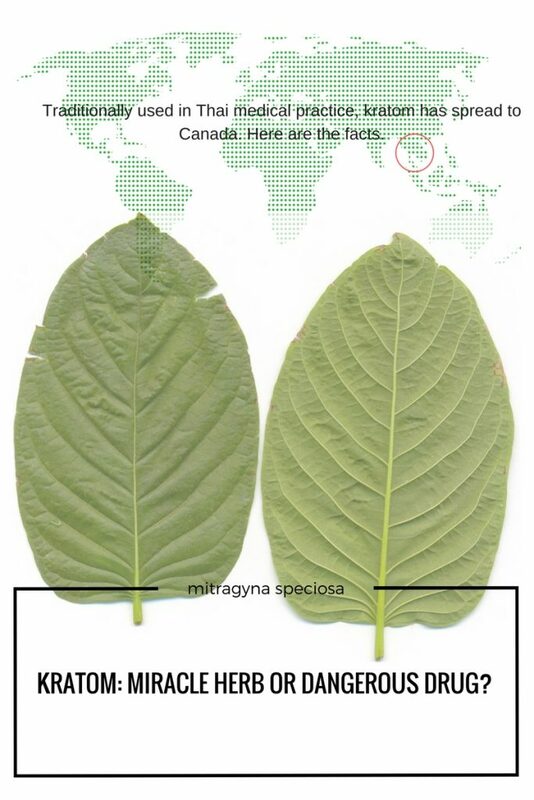 The dried leaves of kratom (mitragyna speciosa). Kratom hasn’t been clinically tested, and one international study from 2014 found that its main alkaloid, mitragynine, impaired memory and learning in lab rats. In another experiment, rats showed signs of anxiety when researchers stopped dosing them, suggesting they may have developed an addiction. Those findings haven’t fazed the Vancouver market. 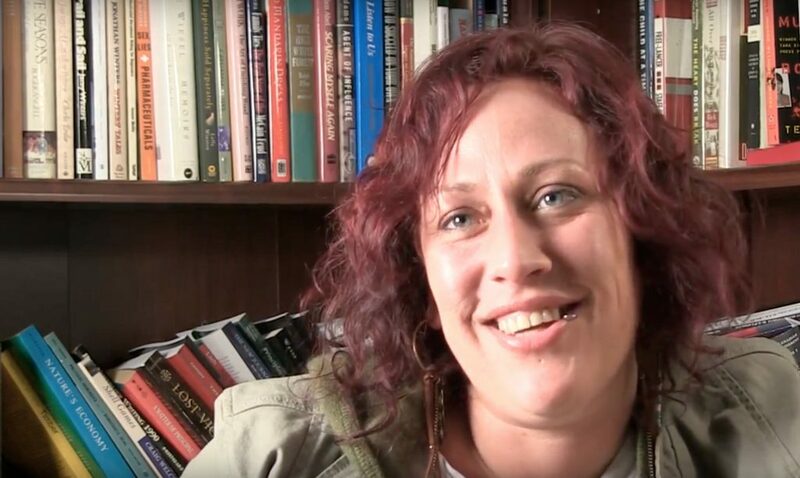 Dr. Sharon Vipler, an addictions specialist at St. Paul’s Hospital, cautions kratom users despite the profusion of positive anecdotes found online. She’s seen what it can do with her own eyes. Eight months ago, a patient admitted to her hospital developed tremors, sweats, and full-body pain, just like someone coming off heroin. But the symptoms weren’t tied to opiates, which puzzled Vipler — until the patient confessed to long-term kratom use. When Vipler realized the patient had left the plant at home, those symptoms started to make sense. Vipler is awaiting publication of a case study she co-authored on the patient. It will add to a growing body of evidence that, at least in some users, kratom may cause the very addiction its supporters say it treats. Without clinical trials, Vipler explains, kratom can’t be used safely. “We just don’t know enough to use kratom, and my argument here is we’ve got some really great medical options for the management of opiate withdrawal,” she says. That advice might not sway Star Morrison, who knows what it’s like to come off heroin. But for nearly two decades, nothing worked — including methadone, the standard treatment for people with heroin addiction — until Morrison stumbled on kratom. Star Morrison says kratom can be a powerful tool in fighting opiate addiction when other methods fail. Kratom kept drug cravings and anxiety at bay, says Morrison. And all without the inconvenience, stigma and side effects of methadone treatment. Morrison now works at a private addiction-recovery centre in West Vancouver. Despite the lack of endorsement from medical officials, Morrison uses kratom to help clients taper off opiates. “We’ll get them to use [opiates] in the morning, because you’re sick in the morning when you wake up,” says Morrison. Then, instead of giving a second shot of opiates later in the day, Morrison provides her clients with kratom. 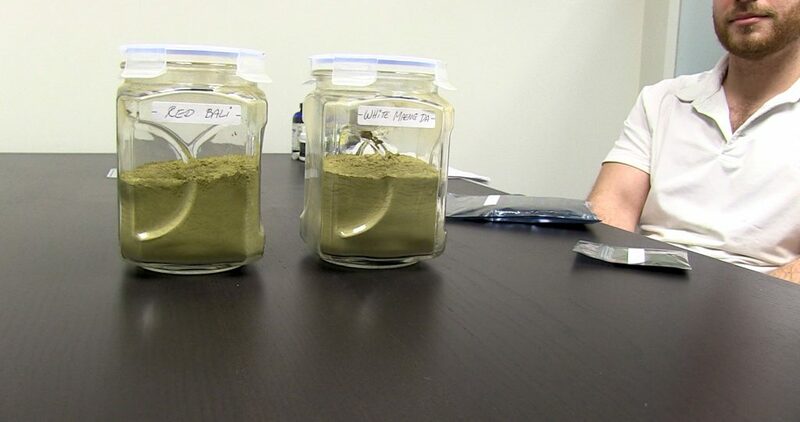 Kratom hasn’t been sanctioned by Health Canada, which said in a statement to The Thunderbird the agency is aware of the drug but hasn’t authorized its sale as a health supplement. As such, there are no safe-use guidelines, labels or quality standards. While it’s within the law to take kratom, anyone selling the drug for human consumption does so illegally. The plant can’t be grown locally, but nothing prevents people from importing it. Mike Gorczynski drinks kratom like it’s coffee. Mike Gorczynski, Kay’s business associate, thinks the regulations should change. He hails the plant as a harmless energy booster, comparing its effects to a “full-body” coffee-like buzz. The lack of research doesn’t deter Gorczynski and Kay. They still want kratom regulated.